Welcome to the Pink Floyd, a modern hostel with a comfortable budget accommodation in central Rome. Run and managed by the owners themselves, you can tell from the hostels name to which music generation they belong to. 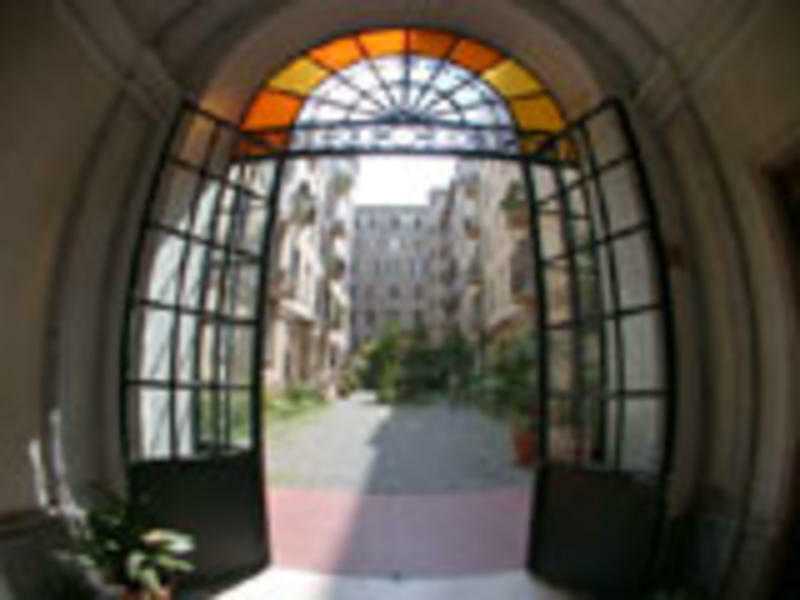 The hostel is conveniently situated close to Roma-Termini underground, railway and coach stations. It is surrounded by Rome's top tourist attractions such as the church Santa Maria Maggiore, Piazza della Repubblica, the Roman Forum and Teatro dellOpera. A wide range of restaurants, pubs and bars are all also within walking distance. On approaching this lovely building, you walk through a beautiful flower garden to the main entrance. On entering you will notice the high ceilings and listed staircase. The hostel itself is intimate and friendly. There are various sizes of rooms and spaces to be either sociable or alone. The rooms are with en-suite facilities or with external bathrooms. Each room has a direct phone and a TV. We do our utmost to ensure our clients have a pleasant and enjoyable stay with us and make their trip a memorable experience. Please note: Check-in is at Hotel Hollywood, Via Principe Amedeo 79/A int. 6-7. We are just few minutes from the S. Maria Maggiore Square and Termini Station. IMPORTANT: The check-in is at Hotel Hollywood, Via Principe Amedeo 79/B.You must arrive within an hour of the arrival time you say. If you will be late you must phone reception++390644704335, if not we will not garantee your reservation.